You Can Help Herko Family Mission through the Kroger Fundraising Program! We are asking individuals, churches, and groups to consider helping the mission, as Kroger will donate a percentage of what you spend, to Herko Family Mission. 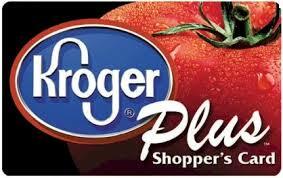 The Kroger program only works for individuals who shop in the Mid-South Region to support Herko Family Mission. The Mid-South Region includes most of Kentucky, middle Tennessee, and a small part of southern Indiana (near Louisville). People supporting Herko Family Mission through the Kroger Rewards program must re-enroll, in August of every year, and re-select Herko Family Mission as their organization of choice. Your on-line account will reflect how much has been contributed to Herko Family Mission through your shopping. Thank you for helping Herko Family Mission by participating in this program. If you have any questions, please call us at 859-619-5384.